We have been using anti ageing creams, lotions and solutions for so long now that we are not really aware of what our skin actually wants and needs the most. It is said that a lot of people can rightly guess someone’s age by only looking at someone’s hands. A lot of us spend so much time trying to choose the right product just so that our hands are in right hands but we tend to forget they’re actually only ours. 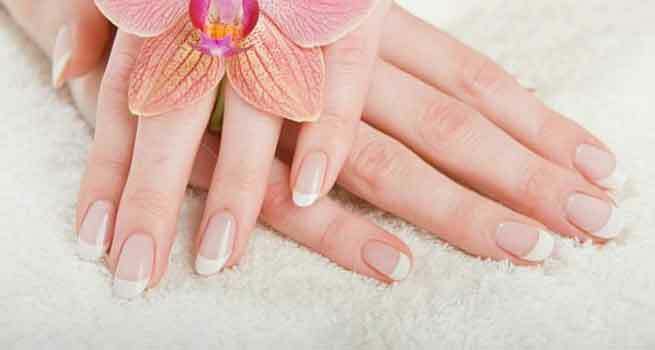 The skin on the back of our hand is much inner than the skin on our face, which we might not realise.Here are a few simple steps that will help your hands look younger by taking off their age from them. This is an effective bleaching agent. It will come in concentrations of 2% and prescription strengths that are almost 4%. These will then block the enzymes that are needed which makes the pigment of the skin, that is melanin. As soon as the surface cells wear off, new cells which aren’t pigmented replace them. Apply with a cotton swab on dark spots since it might lighten normal skin too. This, however, is banned in some European and Asian countries. The FDA has been reviewing and has to still make a ruling on it. But the American Academy of Dermatology maintains that it is safe. Sometimes, home remedies work the best. Now, for your hands, 2 tbsp of sunflower oil and 3 tbsp of coarse sugar should be mixed together until they become a paste. Apply this paste on your skin and then make sure you rub it well enough. After that’s keep it for about 15 minutes then you can wash it off. The most simplest yet toughest thing to do is to just follow a proper procedure that enables you to take care if your hands on a daily basis and ensures protection. Like we normally cleanse, tone and moisturise on a daily basis for our face, likewise, one should also do same for our hands as well. So if ever we are doing any home chores or work, one can protect your hands by wearing rubber gloves. Massage a thicker cream on your hands every now and then which will be very useful. Loss of any moisture in your hands causes a lot of loss of elasticity that will ultimately leading to wrinkles on your hands. Hence, applying moisturisers at night will soothe your skin and give you a good texture to your skin keeping fine lines and wrinkles at distance. Moisturise daily and prevent new wrinkles from forming on your skin. People with oily skin are less prone to ageing and getting wrinkles. 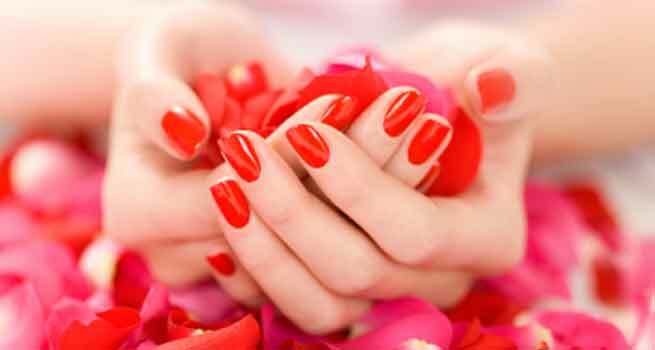 What could be done is give your hands a youthful appearance when you apply oils that suit your skin type be it coconut, olive or either castor and leave it for an hour or so. What works best here is either besan or gram flour as a scrub which will really work wonders when you combine it with some oil treatment. Because of the less and limited knowledge or information that we have, we may think exercise might be unrelated to wrinkles but exercise actually works very well to improve the blood flow in our hands and then helps in keeping wrinkles off our hands. It is utmost important to protect one’s hands with gloves and to avoid to let your hands be exposed to rays of the sun. Therefore, apply some sunscreen before you step out. 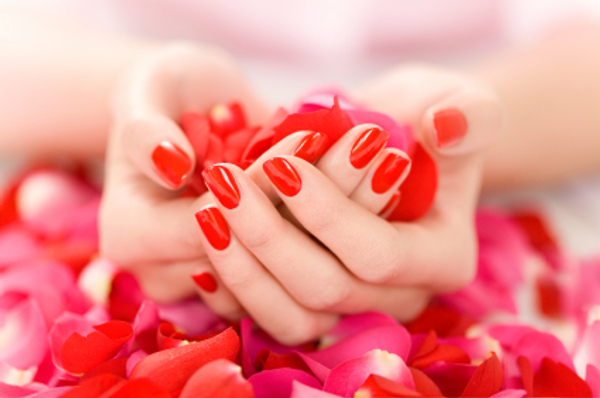 Regularly going for manicures are a good way to keep your nails in good and a neat condition. They induce relaxation as well. No matter how much you do, how much you apply or how much ever care you take, remember that ageing is a natural process and one can only try their best in reducing as much as damage but not completely avoid it. Hence don’t panic or get anxious or worried, instead do as much as you can and be happy in your skin. These were the few suggestions that we came up with. Keep your hands healthy with these simple measures.